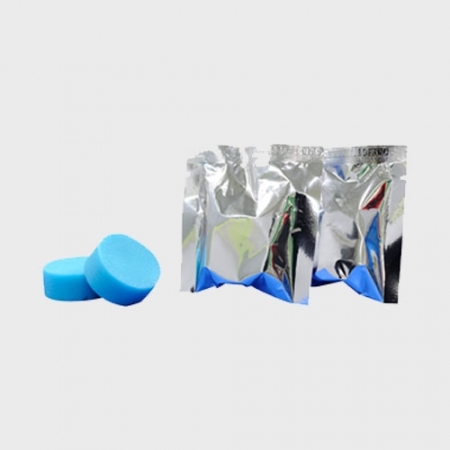 CDBTM is formulated from a proprietary blend of a unique surfactant, disinfectant, dispersant and corrosion inhibitor, encapsulated in a biodegradable polymeric matrix. CDBTM works by penetrating the impurities (dust, slime, bacteria, mold etc) found on the drain pans and lines, eliminating, dispersing and suspending them, allowing them to flow away into the drain easily with the condensate water. 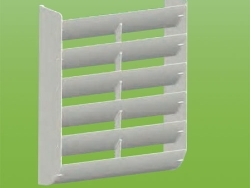 As these impurities do not have the chance to settle and accumulate, blockages, bacteria growth and mold growth in the drain pans and lines are prevented. 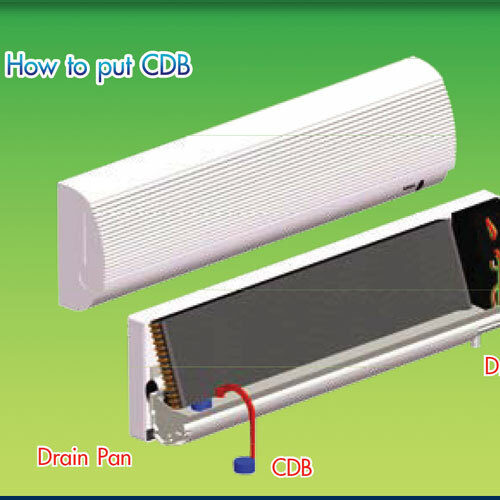 To use CDBTM , simply remove CDBTM from its packaging and place it onto the drain pan. Position the CDBTM on the opposite end from the drain hole. For larger systems, the number of CDBTM can be increased accordingly as depicted in table. CDBTM will completely dissolve and leaves no residue.